KIITEE Admit Card 2019: Kalinga Institute of Industrial Technology Conducts the KIITEE Exam every Year, and for it the admit card releases in the month of April. It will be not different in KIITEE 2019. The Admit Card will be released on the official website. To Get the Admit card candidates also have to book the exam slot for them. Throuh this article you will get complete information about the KIITEE Hall Ticket, dates, procedure and also KIITEE Slot Booking. So keep reading. Kalinga Institute of Industrial will release Admit Card in 1st week of April month, means just one week prior than the KIITEE 2019 Examination. More Post Form Filling Events and dates are listed in the table below. Candidates can download the KIITEE Admit Card by going through the below procedure. Make sure to match all the details on Admit Card. You will need to carry for sure to the examination center. 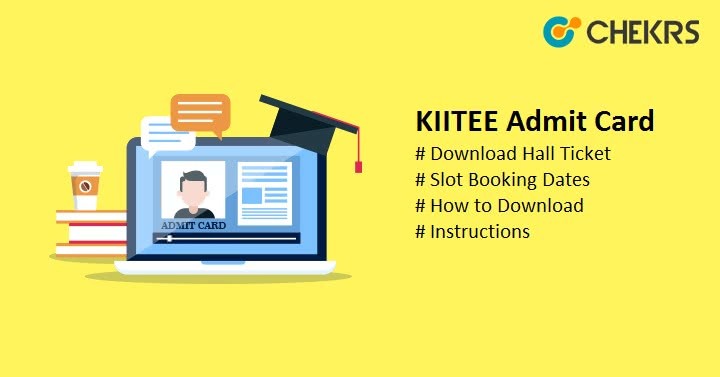 Check the Notification Box at Left side with Title KIITEE Admit Card 2019.Click on ‘KIITEE 2019 Download Admit Card’ link (Green Colour Box). Now, click on the ‘Continue’ button. On the next page complete the KIITEE Slot Booking Procedure, In it Just choose the preferable test date and select the slot. Confirm your selection. Just after confirming the selection your admit card will appear on the screen. Andaman Nicobar, Andhra Pradesh, Assam, Bihar, Chhattisgarh, Delhi, Gujarat, Goa, Jharkhand, Jammu & Kashmir, Karnataka, Kerala, Madhya Pradesh, Maharashtra, Manipur, Meghalaya, Nagaland, Punjab, Odisha, Rajasthan, Tamil Nadu, Telangana, Tripura, Uttar Pradesh, Uttarakhand, and West Bengal. KIITEE Hall Ticket or Admit Card will be only available through the online mode on the KITEE official website kiitee.kiit.ac.in. All the candidates have to carry the Admit card along with a Photo ID, at the examination center. Match the details on KITEE Admit Card, If you found any mismatch on the admit card contact to the Exam Authority via Email or Phone. Make sure to read all the instructions very carefully. Reach at the Examination center 30 minutes before the exam. So Now you have all the details regarding the admit card, and you can also download the KIITEE Admit Card very easily. So Take a print out and complete all the revision work. Good luck for KIITEE 2019, Do Well, and Keep Visiting.